Mark Zuckerberg Apologizes to Scientology; Promises to Delete all Entheta on Scientology from Facebook – OTVIIIisGrrr8! 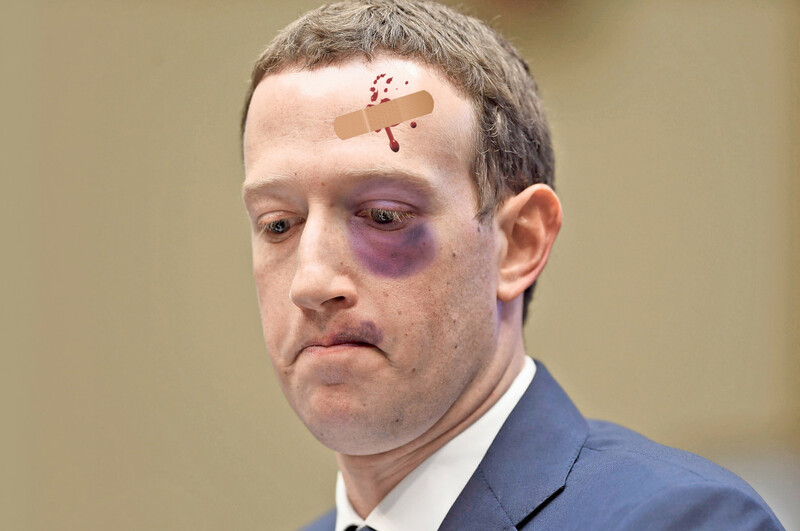 “Following a closed-door Serious Reality Adjustment Session with Scientology Pontiff David Miscavige and his ecclesiastical lawyers, Facebook CEO Mark Zuckerberg publicly apologized to the Church of Scientology,” announced Ted Torquemada, the Chief Inquisitor of the Scientology religion. Scientology: Now Hiring Really Bad Elvis Impersonators as Fundraisers! Boy, dat’s rich; I’ll bet dats da first time Jilly, Tony Bones, Fingers and da rest of da crew’s been called “ecclesiastical lawyers”! Yeah, well, when yer highly legitimate choich and da boss is at risk from a gumba like Zuk sometimes a rolled up phone book woiks real good to straiten’ out da’ guy’s bad attitude see. Zuk didn’t last long. He’s very delicate. He didn’t want the Reverends Tony Bones and Jilly to rearrange his face no more after a few applications of their speshul Yellow Pages beauty treatment.